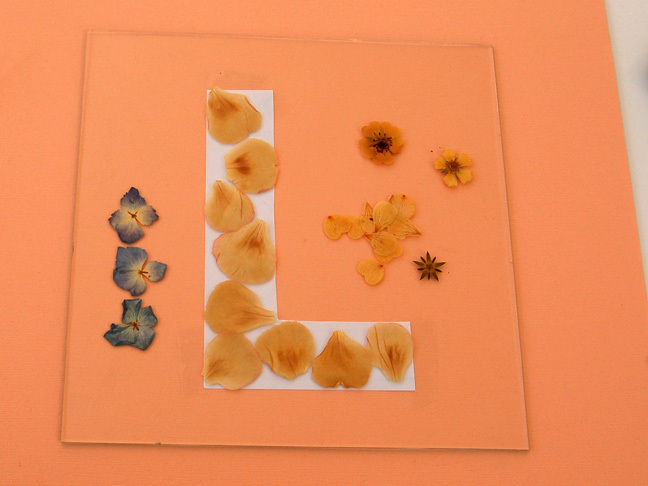 Since monograms are hot right now and spring is still in the air, I wanted to combine the two for my pressed flower monogram. 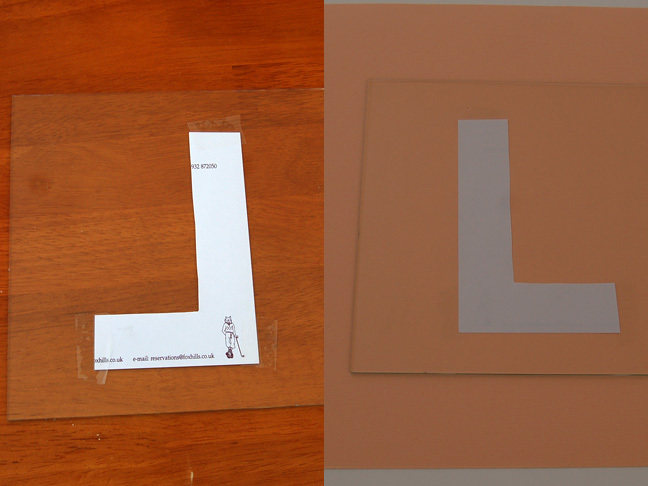 Draw or print the letter of your choice on a scrap piece of paper. Cut the letter out and tape it backwards on to the back side of the plexiglass. 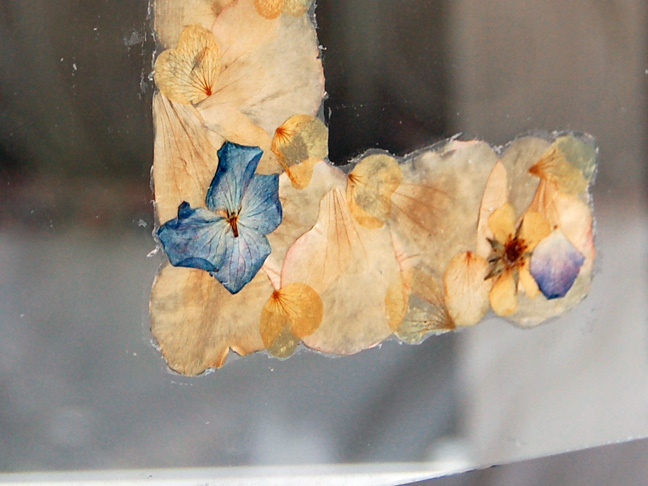 This will act as a guide for placing the pressed flowers. Lay your assorted flowers out. 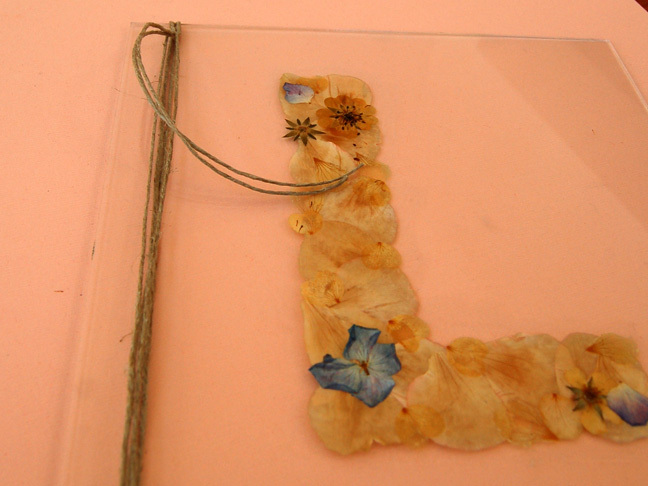 Paint a thin layer of Mod Podge over the letter and lay your first layer of petals/ flowers down. I started with the larger petals and filled in the gaps with smaller ones. Paint another layer of Mod Podge over the petals. 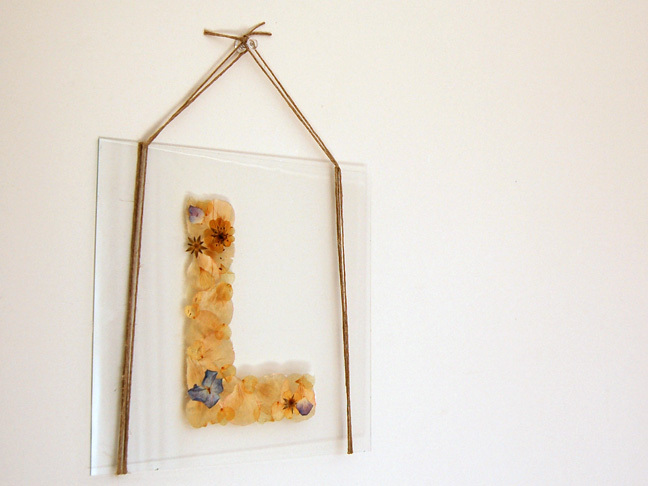 Once you are finished adding flowers, let the monogram dry. Then, remove the paper cut out from the backside. 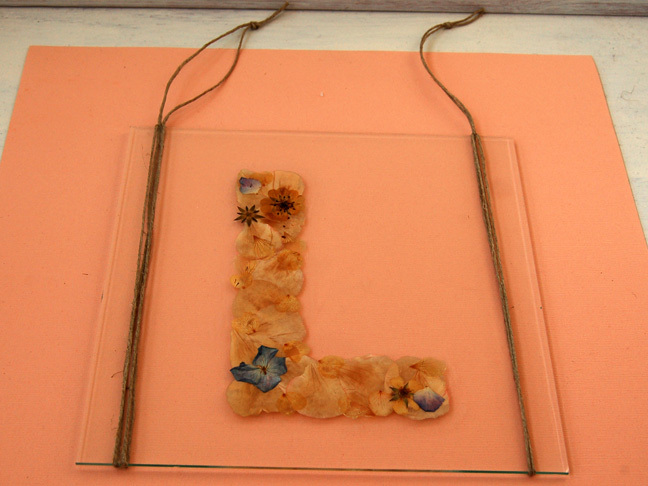 If you paint Mod Podge outside the letter it can leave a messy look once dried. To remove the Mod Podge from around the edges of the letter I used an xacto knife along the edge. Then, I used a razor blade to remove the Mod Podge. Afterwards, the monogram had a much cleaner appearance. 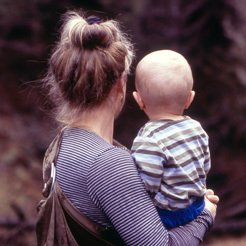 Double up a piece of twine and loop it around one side of the plexiglass. Leave a few inches at the top to hang by. Repeat for the other side of the plexiglass. So now you have two pieces of twine tied at the top for hanging. Now on to find the perfect place to hang your pretty, pressed monogram.